Real estate marketing companies help to expand awareness, drive leads, and push you ahead of the competition in your market. We examined the top six real estate marketing companies in 2018, comparing features, pricing, and available services. Agent Butler New agents just beginning their career who need accessible technology, solid price points, and customer service that educates. SM Sold Newly-formed brokerages looking to get a foothold at prices that don’t break the bank. Kraus Marketing Established brokerages that want turnkey solutions, but they are not inexpensive. Hooklead Established agents who sell high-end property and want to stay ahead of the game. Keenability New teams that require PR and distinctiveness in the market, including branding, design, PR, and management of social media. Element 360 Established teams that want to maintain their momentum through ad campaigns, SEO services, and social media. In reviewing the top six real estate marketing companies for 2018, we evaluated companies based on their real estate expertise in marketing, the breadth of services they offered, and who offered solid customer support. We evaluated companies based on the following services that we found essential to supporting agents and brokers successfully in pushing their business ahead. Social Media Setup. All of the companies will set up social media accounts for their clients from inception. While most primarily did this with Facebook, others were willing to set up other social media accounts for agents if requested. Social media setup includes page creation, optimization, and having the ability to run ads on that platform. Social Media Management. All of the companies below will manage social media accounts, but again, this refers primarily to Facebook (although not exclusively, so an agent can request otherwise). Social media management entails posting on the agent’s or agency’s behalf, moderating comments, and being “the agent” on that social media platform. Social Media Advertising. Social media advertising includes running ads and promoted posts on Facebook primarily. All of these companies will craft your ads, create a target audience for your ads, and give you statistics on your ad performance, if requested. IDX-Integrated Website. An IDX-integrated website is an essential for any agent or agency. Most of the companies reviewed could create these websites in-house, but all were able to provide this service to clients. All companies reviewed could also supply the hosting that supports this website, and the ability to contact someone to assist if there were difficulties with the supplied website. SEO. SEO services are offered through all of the companies reviewed. This is the process of helping agents to be visible through search engines inquiries, and to be able to get traffic to their websites organically through strategic initiatives. AdWords. Given the prevalence of Google as a search engine, we looked for advertising companies that offered the ability to use AdWords. Using AdWords means that they bid on certain keywords (frequently searched terms) so that your clickable ad will appear in the search results and drive more specifically-targeted traffic to your website. Collateral Print Materials. Some of the agencies were able to provide print materials for busy agents, such as brochures, pamphlets, and business cards. While not an essential with the ease of individual agent acquisition, it was a nice addition to offer and was included in our review. PR Services. Agents often struggle with public relations, and we did inquire if marketing companies offered public relations services. While certainly not an essential to most agents, it was a traditional arm of marketing that some included and is worthy of highlighting. Customer Support. When we examined customer support, we defined it as availability to the clients they service, and the willingness to offer these clients effective channels of communication. One thing to note about our comparison of real estate marketing companies was the difficulty in comparing specific price points. Every company we spoke with offered services that could be customized to the particular needs of the agent or brokerage. Individual quotes for pricing between vendors was the norm, and so we did attempt to gain pricing information by talking with the companies individually. Be aware that pricing does change over time and with certain packages or offers, and that the prices given were offered at the time the article was written as an estimation. We encourage you to speak with the companies directly for an exact quote. We recommend Agent Butler as the best real estate marketing company for new agents because of their accessible price point, breadth of offerings at various price points, the transferability of their created websites for agents, and the educational component of their customer service. Like all of the top six real estate marketing companies we spoke with, services are highly customized, and prices reflect the needs of the specific agent or brokerage. Prices are generally based on the size of the client, the size of their target market, and the services that the client requires to meet the needs of that market. As an example of their accessibility for new agents, Agent Butler builds their IDX-integrated webpages on a WordPress platform at a low price point of $1,500-$3,000. Not only is the price point accessible with a hosting fee of $25-$50/month, but the platform they create makes it easy to use and navigate. This was unique. SM Sold will build a custom IDX-integrated website for $6,500 on their proprietary platform, including a monthly hosting fee of $39+ per month, but this is done on their “Sold” platform. Keenability was another company that built a website for agents, but on a custom Ruby on Rails platform (from $5,000-$10,000). Although hosting was very reasonable at $10 per month, it seemed unlikely that a person who is not technically savvy would find it as intuitive as WordPress. While we found the Agent Butler $399/month starting point the most accessible in the group, it was their agent website education that we found most compelling. For example, while almost all of our companies reviewed will build an IDX-integrated website (as the examples illustrate above), Agent Butler will not only build you a website for the lowest price point ($1,500-$3,000), but their hosting fees of $25-$50/month include customer service that helps to educate the agent how to use their website on their own to eventually become independent operators of their site if they choose. Agent Butler is a perfect starting point for new agents who need a basic website, SEO, and AdWords initiated and who may wish to expand into social media and other larger service offerings in the future. Agent Butler was the only service we reviewed that included an educational component we thought important for new agents, and a money back guarantee on their website. When we spoke with a representative from Agent Butler, we were impressed that they discussed the importance of helping agents understand how to use and manage their own websites if they so choose, and the company’s willingness to help them do this through customer support. The websites they create were also built on a WordPress platform, which can be easily self-managed (updated or edited) without any assistance, and could transfer with them for private use if they stopped using Agent Butler. Not using a WordPress platform for websites can be confusing, more difficult to navigate, and is less likely to transfer to the agent’s sole operation. Because of this, often locking in users to maintain a relationship with the company is simply to make adjustments to their website as needed. As you can see above, some other companies use “proprietary” website construction or more difficult structures, and were not forthcoming that they take the time to offer agents education on how to use the platform on their own. To further support Agent Butler, they offered a money back guarantee if you were unhappy with your finished site. No other company offered either of these components, which might be particularly helpful for a new agent starting out who might have more limited funds and be interested in self-managing their own platform. Agent Butler’s features were fairly limited compared to the offerings of a number of other companies we reviewed, although they were the most accessible by price for new agents with the ability to expand services as your budget increases. Agent Butler does not provide the comprehensive real estate marketing services that many other companies do. For example, Keenability can provide a website, SEO, and AdWords services but also public relations and any collateral print materials. Keenability was so comprehensive in its approach, that when we talked with owner Laura Ure, she stated that they will even design that material for you on request. HookLead offers expanded and customized digital marketing services that can further propel successful real estate agents who want to stay ahead of the game. While their entry level price point begins at $800 per month, they offer fantastic social media services as well as lead generation campaigns that benefit established agents. Almost all of the companies we spoke to focused primarily on Facebook in social media, and while HookLead uses Facebook primarily, they are quick to expand your social reach into other social networks unique to you. This was a consideration that some other companies had by request, but HookLead discussed the expansion of social media reach to different platforms in great detail, and even encouraged it when appropriate for expanded reach. Company co-founder Zack Hanebrink gave solid examples of the unique considerations that HookLead has for their client base. For example, he mentioned that if an agent is also an interior designer, they make considerations to expand into other areas, like Pinterest, that can showcase their work and generate leads. HookLead was the only company that mentioned this flexibility, and we were impressed with how services can evolve for the user. Hanebrink estimated that over 70 percent of their overall business is focused on real estate agents and brokerages, and it was clear in how the co-founder thought about and structured services that took agents into areas many companies did not immediately consider. Established agents who need the basics but also have the capital and want to expand their reach beyond traditional offerings would do well to consider HookLead. HookLead pricing is based around services offered. For their minimum of $800 per month, they will manage your Facebook account, including providing organic postings and some ads. Depending on how you structure your $800, you could also select to have other social platforms managed (and no Facebook ads), or come to an agreement to organize a different structure of services. The minimum, no matter what you select, is an $800 per month spend with a minimum 90-day commitment. Some of the companies we spoke with, such as Agent Butler or Keenability, did not have a minimum commitment, but others like SM Sold held the same 90-day commitment requirement. HookLead offers other pricing packages with further features. To expand into lead generation using Facebook as well as Google with a landing page created and provided would be $1,200 per month, and full inbound lead generation campaigns can go as high as $8,000 or more depending on user needs. HookLead also will develop a website for agents and brokerages that have IDX integration. A basic website will run $3,000, with $5,000 for a custom site and web hosting at $360 per year. While HookLead will offer support, there was no specific mention of training or education around the sites such as offered by Agent Butler. HookLead offers real estate agents and brokerages the full scale of digital marketing. HookLead constructs digital tools, such as creating websites, and offers the range of support to optimize traffic to those websites through SEO and social. HookLead demonstrated flexibility and customization to explore and examine other mediums when necessary, such as Instagram, Twitter, Pinterest, as well as Facebook to meet user needs. Although they do have a minimum 90-day commitment that some others may not, the offering of services reaches into areas others are more reticent to travel. The only flaw of HookLead is its omission of traditional collateral print materials. Unlike services such as Keenability, Kraus Marketing, and SM Sold, HookLead did not offer any marketing collateral that agents and brokerages often use. While traditional agents often have collateral materials easily available from the brokerage, as agents scale into teams, having the ability to get customized postcards, brochures, and books could be a wonderful added service. SM Sold was evaluated to be the best real estate marketing company for newly formed brokerages, offering a breadth and depth of services that exceeded many other companies we reviewed. They could create and manage social accounts start to finish, as well as offer lead generation campaigns and collateral marketing materials. Although there was a 90-day minimum commitment, they had service offerings that were clear, and included both digital and traditional marketing. Kraus Marketing could also create collateral materials, design logos and provide press kits, but was not forthcoming with pricing or as transparent about process and services. Keenability offered no minimum commitment, but did not have the public online demonstration of work we saw with SM Sold, which posts often about their clients and what they are doing in the market. SM Sold was one of the few companies reviewed that had two clear starting points for pricing: one for individual agents and one for teams and brokers. Their individual pricing starts at $500 per month and brokers start at $1,000 per month, and there is a 90-day initial commitment required. Although this might seem steep, SM Sold’s services justify the 90-day requirement. They will set up your social media accounts, post to them, and manage them entirely. While individual agents might like the posting and interaction of social media, we particularly liked this for brokerages, which can take a large aspect of marketing off their plate. They will add additional services for an additional price; for example, running ads on Facebook would be in addition to the $1,000 price point for brokerages. SM Sold does and can provide custom IDX-integrated websites to customers at the price point of $6,500. This seemed less accessible to individual agents than teams or brokers, but still below Keenability’s price point of $10,000 for a custom site. Element 360 did not offer design services, and Kraus Marketing was not forthcoming on pricing information. The SM Sold features we loved for newly formed brokerages, although interesting for high producing teams or agents as well, was their custom management of social media. They will set up Facebook for you, post to Facebook for you, manage your responses, and “become you online,” learning your persona. With a starting fee of $500 for agents or $1,000 for brokers, it might be well worth it for a new brokerage that wants more time for client work while their social sites reflect an active presence and well-crafted image. We also liked that although SM Sold included most of the digital marketing we would expect, they also included traditional postcards, brochures, and books in their list of offerings. Traditional collateral materials would be important for a new brokerage starting out. Kraus Marketing also offered traditional collateral material, but had a higher entry price point with a less comprehensive social media management service. SM Sold develops their website on a “sold” platform that is proprietary and not WordPress, making it harder for brokerages to manage on their own if they wished. However, a proprietary platform might not be an issue for a busy brokerage that has no desire to manage their own site, preferring this task to be outsourced indefinitely. We considered that the proprietary platform might be problematic for agents or teams that might want to take over this task and be less reliant on an outside agency for management. With $6,500 for the site, and $39.90 and up for monthly fees on that site, it is a primary reason that this agency was not seen as accommodating for new agents. There was no mention of agent or agency education around their site or management, such as Agent Butler, but SM Sold seemed poised to provide a breadth of services for a busy brokerage or team that just wants a turnkey solution. Kraus Marketing was found to be the best real estate marketing company for established brokerages that want turnkey solutions. This company can be a completely hands-off solution for services that include both digital and traditional marketing, but require a budget that can sustain the ongoing costs. 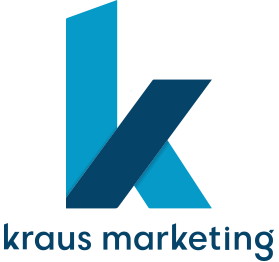 Kraus Marketing offers clients completely customizable services, as they all do, but their range of services is significant. They offer basic social campaigns, build websites with IDX integration, offer design services for logos and collateral materials, press kits, and will even take on one-time projects depending on price point and availability. Established brokerages that want a turnkey agency will find one here. The price points of Kraus Marketing do range higher than many we reviewed, and they were a company that was not very forthcoming with the pricing of many items we requested. However, we were able to gather some information that we are able to compare. The sales representative we spoke with states that building a basic IDX-integrated website for clients ranged from $6,000-$10,000. The sales representative did not give information on what type of platform this website would be built upon, but the pricing was certainly at the higher range of companies we reviewed. For example, Agent Butler IDX-integrated websites ranged from $1500-$3,000 with the ability to customize further with an extended budget, and HookLead offered websites ranging from $3,000-$5,000. Kraus Marketing also stated that its monthly minimum to work with clients ranges between $1,000 and $2,000, depending on services requested. This included basic social media campaigns on various platforms if the brokerage requested it, although the extent of these campaigns would be limited, of course, by the budget offered. We liked the fact that Kraus Marketing was willing to take on one-time projects as an introduction to their services, and they stated that these must be of at least $1,500 in cost to be considered. Kraus Marketing offers a range of services that serve an established brokerage as well as an agency. We appreciated their ability to run the gamut of service offerings from traditional to online marketing, as well as the custom touches of one-off projects, design services, and press kit creation. The ability to create traditional collateral material and custom design work was impressive. From logos, cards, and any other material necessary, a client could work with Kraus to make it happen. Kraus Marketing also offered digital media services that any established brokerage would expect. Kraus talked about their proficiency with PPC campaigns, social media campaigns, and digital advertising. Kraus discussed being able to market on any social platform when asked, and so companies with an established presence that wanted to branch out into new audiences may be able to do this utilizing their services. Kraus also offered the basic building blocks for established brokerages that may be missing pieces of the puzzle. While any successful brokerage has a website, they can redesign, build out more extensively, and take on projects as needed, per their sales representative. Kraus Marketing appears to be, from our conversations, a one-stop shop. Saying this, they were notably difficult to gather extensive pricing information or services and were not very transparent to those who might inquire. We had concerns about customer service. To get the information, we did require our share of prodding over a couple of conversations. An open and transparent sharing of information might serve them well for general inquiries, and it is unknown if this same position extends into their overall customer service approach. This was a concern. While their services offered are extensive, well regarded, and comprehensive, it was the least forthcoming and transparent of any company we reviewed. This may vary, considering we were not consumers of their product. Keenability was found to be the best real estate marketing company for new teams because of their ability to provide PR and offer distinctiveness in the market that such teams require. New real estate teams are branching out and looking for a way to establish themselves, and for this reason, Keenability was a solid fit. They offer traditional and digital marketing, as well as collateral materials. Another variable that led us to select Keenability was their price point. Their price point is accessible for new teams or brokerages, but certainly high for agents in some of their product offerings, positioning them well for new teams that already have established income but need distinctiveness that branding and their PR services can provide. When we talked to Keenability’s president, Laura Ure, she was forthright, open, and made herself available to talk about what they could offer. According to Ure, real estate agents and agencies comprise about 60-70 percent of Keenability’s business. Keenability offered price points that new teams could appreciate. Their minimums were more than reasonable, and the services offered were extensive. While some specific services were likely out of range for the average agent, there was no minimum commitment required and services could be tailored to the needs of the client. Keenability required a $500/month minimum to begin work with no minimum commitment required, but certainly encouraged to see results. Depending on your price point, they can assume social media accounts, manage direct and email marketing, and run Facebook ads. Website creation was certainly one of the more expensive options for services. A standard website with IDX integration was $5,000, with a custom site costing $10,000. While hosting was a mere $10/month, this is certainly more than a starting agent would be able to pay and many experienced agents would want to pay. HookLead offered custom IDX websites for 50 percent of this cost, at $5,000. However, they did not offer the extensive amount of traditional marketing, collateral materials, and exposure systems that Keenability offers that might truly benefit new teams. Keenability offers a range of features that new teams will love. We appreciated that these features were extensive and ranged into areas that many of our other marketing companies did not. Services like PR were rare to find, and the availability of collateral materials and branding were a solid fit for new teams that could truly use those services. Keenability will construct a custom IDX-integrated website on a Ruby on Rails platform. While this could be difficult for individual agents who aspire to self-manage their website, for teams wanting a solution that is primarily managed out of house, this would be a solid option. Agents, teams or brokerages that wish to self-manage their website would likely find a WordPress platform, such as that offered by Agent Butler, a better option. Keenability provides the types of marketing you’d expect, with additional elements that make them well suited to new real estate teams. They provide social media management and marketing, and can utilize email in their marketing services as well. Where Keenability shines is their ability to build the brand of a new team by offering public relations, branding services, design services, collateral material, direct mailings, and integration of this with your social platforms. New teams looking to distinguish themselves in the market and that require branding will find that the list of services Keenability offers will suit their needs well. Whereas Kraus Marketing was not as forthcoming with pricing information and services, the owner of Keenability was forthcoming and willing to talk about products and pricing openly. It is hoped that their customer service is just as accessible as their willingness with us. Keenability had a lot of offerings that we could see as a good fit in the market, but the cost and platform of their IDX website construction was certainly the largest pain point. With a starting price point of $5,000 and a custom site for $10,000, it was not only expensive, but made it far more difficult for individuals to self-manage their website if they chose. We didn’t find this a deal breaker for teams, simply because many real estate teams will outsource this site management anyway, and Keenability offers a very reasonable hosting fee of $10/month. Another area that seemed a bit weaker for Keenability than others we reviewed was their discussion of social media platforms aside from Facebook. While they can and do manage social media, they did not have the adventurous suggestions of HookLead, which seemed almost eager to find new channels by which to highlight agent strengths. This could be a weakness or a strength. Facebook remains dominant among social platforms for advertising, and it seems Keenability capitalizes on this. Element 360 is a fantastic marketing company that is particularly suited for established real estate teams that want to continue their momentum in the marketplace. While not offering some of the features of the marketing companies listed above, they are exclusively focused on digital marketing and lead generation. As to whether basic services like website design are available, Element 360 does not offer this in-house but does have referral partners they work with should this request be presented. Element 360 is a digital marketing company that, although primarily working with developers, has an impressive array of real estate clients. The majority of their clients already have traction in the market and wish it to stay that way. Although they often don’t position themselves for real estate teams, a successful team or brokerage that already has the basics in place but wants to continue their lead generation and outreach is perfectly suited for the services that Element 360 can offer. Element 360 is primarily a lead generation service, which is why we found them of interest to include. They help clients find you. Their strategy for assisting the real estate clients they serve comes through lead generation and very customized digital marketing services. When asked what their campaign pricing starts at, they reported that for SEO services, it would begin at $1,500/month. The rest of their pricing depends upon what type of further campaign you would like as a strategy for additional exposure. Facebook ads, PPC campaigns, and creating a splash page for lead generation are all available at various price points that were customized to the objectives of the client. Element 360 offered features that we found of great interest to an established team that already has the basics in order. A thriving real estate team may already have their secretary or assistant managing their social media and/or website, and they likely have branding long completed that Keenability might offer or the collateral materials that Kraus Marketing could put together. Element 360 offers established teams the “next step” after their basics are in order. The focus of this company is driving more qualified real estate leads to your website and services through SEO keyword and analysis, website audits (to get you ranking for specific terms), and running PPC and AdWords campaigns that help you show up in Google when the right search occurs. While many other companies certainly ran PPC and AdWords campaigns by request, none appeared to specialize in this as extensively as Element 360. SEO and PPC campaigns are the bread and butter of Element 360. They examine what individuals are looking for online in your area and tailor your website content and PPC campaigns so that you are in front of those who are searching. While having limited features available, the depth at which they offer these lead generation powerhouses were of interest. If you are an established team that seems to have everything, this is a real estate marketing company that has the potential to take you even further. Element 360 is not a company that offers the basics as standard practice for new teams or agents. If you need to have an IDX-integrated website created, set up your social media accounts, or find an agency to create branded collateral materials for you, this company is likely not your optimum choice. Element 360 is not a traditional real estate marketing company and does not offer the things you expect. There are no collateral materials offered such as those by Kraus or Keenability, or in-house website development, such as Agent Butler might offer. Element 360 is for the established team that has all of those things and is looking for more. Element 360 is missing the basics in real estate marketing services because they aim for a consumer that often has those things firmly in place. Element 360 focuses heavily in very specific SEO and PPC lead generation services, and has built a business reputation of doing it well. Who is the best real estate marketing company over all? The best real estate marketing company will be the one that works best for your needs. We reviewed the top six real estate marketing companies, and found that there were certain companies that best served specific groups of clientele. Although selecting the best company for you can do incredible things for your marketing, if you want some tips on how to roll up your sleeves and kick off your own efforts, here are 53 Real Estate Marketing Ideas the Pros Use.